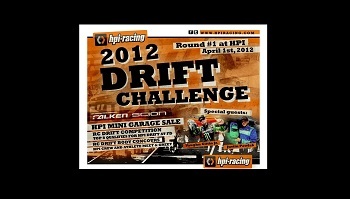 HPI RACING is proud to announce the 2012 HPI DRIFT CHALLENGE set for April 1st, 2012 at the HPI RACING HQ in Foothill Ranch, CA. More details to be announced soon on Qualifying events for the HPI DRIFT CHALLENGE at FD Round 2 at Road Atlanta, Round 4 at the Wall Speedway, Round 6 at Las Vegas Motor Speedway and Round 7 at Irwindale. Special guests for this event will be the 2010 Formula Drift Champion, HPI Athlete Vaughn Gittin Jr. (Monster Energy Falken Tire Ford Mustang RTR) and the 2011 Formula Drift runner up, double event winner, HPI sponsored driver Justin Pawlak (Falken Tire Ford Mustang RTR)! Both Vaughn and JTP are RC enthusiasts and will also join in on the drifting fun for the day. The competition format will be a bracket based 2 up tandem drift battle, with the starting brackets setup from single car qualifying rounds (each competitor has 2 qualifying rounds). The top 8 finishers of this event will receive invitations to battle it out at the HPI DRIFT CHALLENGE at FD, Long Beach (each driver will receive a ticket to the event as well as prizes). 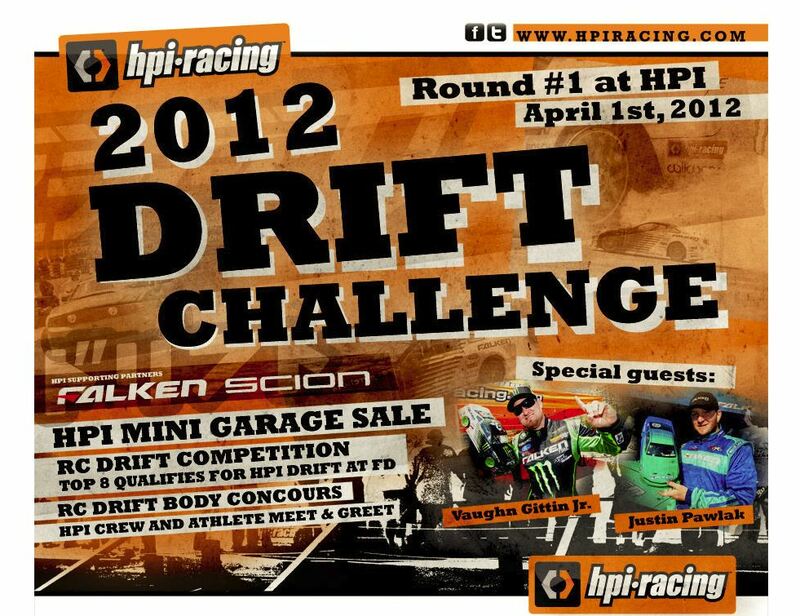 The winner of the HPI DRIFT CHALLENGE at FD will receive a special prize from HPI RACING and Vaughn Gittin Jr. In addition we will also select one lucky winner from each of the qualifying rounds of the HPI DRIFT CHALLENGE events and that person will have an all expense paid trip and ticket to the Vaughn Gittin Jr. RC Drift Invitational powered by HPI RACING to be held at the final round of Formula Drift at Iwindale Speedway on October 13, 2012! 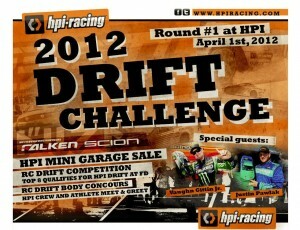 In addition to the Drift Competition, HPI RACING will also have select Drift and other HPI products on sale at the event. These will include car kits as well as parts and newly released and often hard to locate HPI Drift parts! We will also have several super cool full sized display cars out for you to check out. So mark the date and come out and enjoy a fun day of RC Drifting and hang out with Championship and Race winning drivers Vaughn Gittin Jr. and Justin Pawlak at round 1 of the 2012 HPI RACING DRIFT CHALLENGE! Please put your name, address and phone # in the email, you will receive an email confirming your entry.